We’re thrilled in the KidStart office with the exciting news of Meghan and Prince Harry’s pregnancy news and have already been discussing our prediction for baby names. What do you think they’ll decide on? A traditional baby name is the safest option and most likely possibility. Diana is a front runner amongst bookies after Harry’s mother, but we also like Victoria and Alice for a girl and Edward and James for a boy. The end of last month saw the top baby names of 2017 being revealed with Oliver and Olivia being crowned the most popular. Will the royals follow suit and choose those names? Amelia, Isla and Ava were next for girls and Harry, George and Noah for boys. 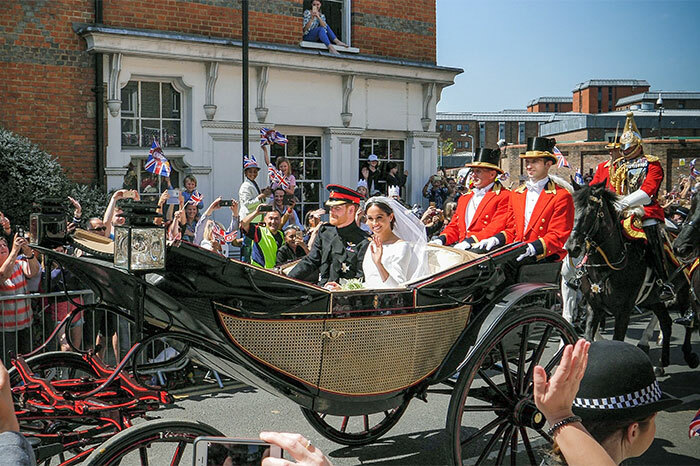 Many think that Harry and Meghan would be willing to break tradition and choose a baby name that is a little more left-field. With Meghan’s American roots they could potentially opt for a name that is popular over the pond. Sophia and Jackson were the top names in 2017. Maybe a bit out there, could Meghan and Harry name their baby after a character from Game of Thrones? We know that Harry is a big fan and 2017 saw a rise in parents naming their little one after their favourite characters. We could be welcoming a Arya or Tyrion into the royal family next year. Did you struggle when picking names for your little one? Had you decided before he/she was born or wait until they arrived? We’d love to find out! P.S. Remember to use KidStart when shopping online to earn money back for your little one. This money will be added to their savings account to help towards their future. We work with over 1,600 retailers including John Lewis & Partners, Amazon, eBay and Sainsbury’s.